The first Stockton Cycling Festival will take place on July 16th and 17th 2011 and will give all people and abilities a chance to get involved. There will be two main events – the Sportive Challenge on July 16th will be a mass participation and non-competitive event in which people can cycle anything from 30 miles to 100 miles. On July 17th, there will be a series of races on a traffic free circuit for everyone to become involved. The festival will close with an elite race, giving people the opportunity to see at close hand a dramatic and fast-moving race by riders battling at high speeds on a tight street circuit. There will be a chance to try lots of different bikes, learn to unicycle or have a go at stunt riding or join in on a virtual bike challenge. Sustrans staff from The Hub, in Stockton will offer advice on bike choice, what to wear, local cycle routes avaliable in Stockton, or a bike checkup from Dr Bike. There will also be guided walks and bike orienteering to help riders to discover new places. 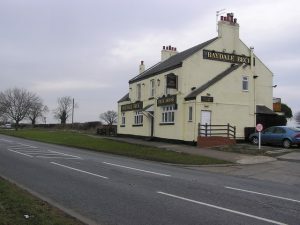 Where: Baydale Beck Public House, Coniscliffe Road. One thing that cropped up at our recent AGM was the need for regular get-togethers. Members want to be able to keep in touch and have their say. So your committee have agreed that in future we will meet regularly at the Baydale Beck Pub, a short, pleasant ride out from town, good beer, and food if you want it. Anyone interested in helping the Cycling Campaign with its work is welcome to come and join us. Dates of future meetings will be posted here in the near future. More on our joint election campaign with Darlington Friends of the Earth for a blanket 20mph speed limit in the town’s residential streets. New research entitled “Health on the Move 2” evidences why 20 mph limits in residential areas are key to improving the health impacts of local transport. Large parts of the street system should be closed to through motor traffic (with a 20mph speed limits on vehicles using them for access) and developed primarily for walking, cycling and community interaction, according to a group of health and transport professionals in a book welcomed by the former Chief Medical Officer of England, Sir Liam Donaldson. Traffic in streets reduces social interaction leading to people having fewer friends and less commitment to their community. As social support networks have been shown to increase life expectancy the group contends that creating “living streets” will increase community cohesion and improve health, as well as creating new cycle routes. Health is impacted by transport in positive and negative ways. Moving around is a way to access to goods, services, jobs and amenities. Walking and cycling offer excellent ways to build activity into everyday life. But transport also causes injuries, stress, disruption of communities, noise and air pollution, and emissions. Transport’s effects exacerbate inequalities, with gains from motorised transport accruing particularly to the better off, while the adverse effects fall disproportionately on the disadvantaged. The connections between transport policy and other policy areas such as health and economic inequalities are often ignored by local politicians, who tend to deal with such issues in a highly compartmentalised way. But candidates for the coming election would do well to compare the conclusions in this book with the aims of our council’s core strategy for the next 10 years, One Darlington, Perfectly Placed. If they are serious about narrowing the gaps in life chances, nurturing a strong, vibrant and cohesive borough-wide community, tackling the gaps in health and well-being across the borough, and doing all that we can locally to reduce our contribution to global CO2 emissions (all verbatim quotes from that document), 20mph for residential streets is a crucial component in the solution mix. With local elections due in Darlington on May 5th, Darlington Cycling Campaign has joined forces with Darlington Friends of the Earth to ask all council candidates whether they support a 20mph speed limit for all residential streets in the town. The Campaign has argued for such a policy since our 2007 AGM. The full text of the letter, which is self-explanatory, is set out below. Council candidates are free to comment on their position re a default 20mph for all residential streets below this post. There is also a Facebook group for the 20’splenty in Darlington campaign here. With local elections approaching, politicians and voters alike are looking for policies that make real improvements to the lives of people in the borough of Darlington. You may be aware that in surveys conducted last year over 80% of members of the public were in favour of 20 mph for residential roads. This mirrors the developing view across the country that our current speed limit of 30 mph is just too high in residential areas where it is inevitable that vulnerable road users will be at greatest risk. In fact, if we compare it with the speed limit in Northern European towns it is 60% higher than the 30 kph (18.5 mph) limits that they have for residential streets. No wonder perhaps that 92% of pedestrian deaths are on urban roads in the UK and at 21% we have a higher proportion of pedestrian deaths on the roads than any of our European neighbours. In Hilden, Germany, the setting of their 30 kph limit in the early 90’s was the foundation of them encouraging cycling and walking. In fact now 23% of in-town trips are now made by children and adults using bikes instead of cars. You may be wondering about how much this would slow down our car journeys and cause congestion. Well, the campaign is only for residential streets to be changed with most A, B and arterial roads remaining at their current speed limits. As almost every house, office or school is within 1/3 mile of such an arterial road then the maximum increase in journey time would be just 40 seconds. Surely worth the benefit in lives and injuries saved. You may also be wondering about the cost and inconvenience of all those speed bumps. Well, many authorities are using changed Department of Transport guidance which encourages lower speeds to be set without necessarily involving physical calming. With education, consultation, social pressure and some enforcement, authorities such as Portsmouth have implemented a council wide default 20 mph limit for residential roads without any physical calming at all. While we are on the subject of cost, latest DfT figures (for 2009) show that the cost to Darlington of Road casualties is £16,435,990. Even more alarmingly the DfT estimate that the total cost of sedentary lifestyles to Darlington is an eye-watering £23,752,582 per annum. Other authorities are taking Portsmouth as an example and Transport for London recently announced the intention for all London Boroughs to adopt 20 mph as the default for residential roads as part of the Breaking Point report. Lewisham, Islington and Southwark have already implemented such a default. Most significantly City Councillors in Norwich recently unanimously voted to have a default 20 mph in residential roads. Such support from all local political parties shows how 20’s Plenty is a universal aspiration for communities, constituents and politicians rather than a party political one. At the time of writing this letter I have just heard that Warrington Council have voted to increase the number of residential roads that will be protected by a 20 mph zone by 200 and a Hartlepool scrutiny committee has recommended to the council adoption of Total 20 for the town. Encourage modal shift to walking and cycling leading to healthier children and adults. Most people involved in transport development recognise that, at some time, 20 mph will become the default speed limit for all residential roads in the UK. Darlington can “hang on” till such a time and in the intervening period vulnerable road users in Darlington will die or be injured as a result of such a delay. The sooner we adopt the 20’s Plenty initiative then the greater the saving in lives and injury and the earlier the benefits in quality of life on our streets. There are already 5.4 million people in the UK who have the benefit of living in places where it is agreed that 20 mph is the correct speed limit for residential roads. Darlington children and adults want and need 20 mph as a default speed limit in the roads where they live and 20’s Plenty For Us will be continuing its campaign for early adoption of this life saving move. I trust that our communities can count on your support for this initiative and that Darlington can be a “can do” authority when it comes to taking such sensible steps to make all our lives better and safer. Please pledge your support for default 20 mph speed limits on Darlington’s residential roads and add this promise to you campaign. If I can assist in explaining the initiative, its benefits or its implementation then I would be very pleased to help.